Comixology Can Now Be Used To Read Kindle Purchased Digital Comics! Good new everyone! The latest update for the Comixology app (mine was for Android, but this should also apply to iOS) allows you to merge your Comixology and Amazon accounts, and then read digital comics purchased through the Kindle store with the Comixology app. This is probably the best thing to come out of Amazon having purchased Comixology last year. The Kindle store often has good prices on digital comics, and the Comixology app is arguably much better than the Kindle one, so it’s the best of both worlds. There was an update, a few minutes ago, to the Comixology Android app (now on v3.8.0.38018), and check out the first line in the “what’s new” description. After updating, you can then go to settings, and there will be a new option to merge with your Amazon account. Click on that and follow the next few steps. If you had set up 2 Factor Authentication for Amazon (and I recommend you do), you’ll need to go through that step as well. Note the warning not to merge accounts if your device won’t allow you to update the Comixology app. Here are screenshots of the whole process. Once you hit confirm, when you go back to settings, it will indicate that your accounts are merged. The best part of this for me personally is that I had bought early collections of Fables from the Kindle Store but then later collections from Comixology, and now they’re all in one platform! 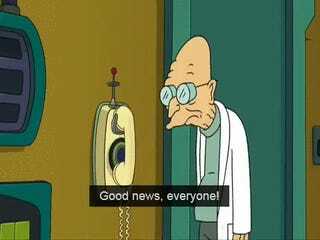 You’ll get an e-mail confirming that your accounts have merged and how many Kindle store purchases are now available to read on Comixology. You can also see this in the Smart List on the app itself. You will also get an e-mail to remind you to sign in with your Amazon credentials anytime you use the Comixology app on another device. I’m going to download a couple and see if it also retains the last page I read on the Kindle app, but that might be hoping for too much. I’ll update here when I find out.